but spring has sprung in China! with its first gold medal. Next up, the snow is back again! weather was on the way. the roads and at some airports. This dog is called Sir Benson. about teachers that inspire you. to find the world's best teacher. is in the final ten. I am a mum to about 1,400 students. to me, she really is. like this in the night sky. have been to check it out. hard to count them all. that there was an ocean in it. It's bigger than I expected. and that's the size of Leicester. in the UK called Luke Jerram. to the moon or even onto Mars. falling from the sky these days. It's raining gold - sort of. as it was taking off. That's it from the weekend team. 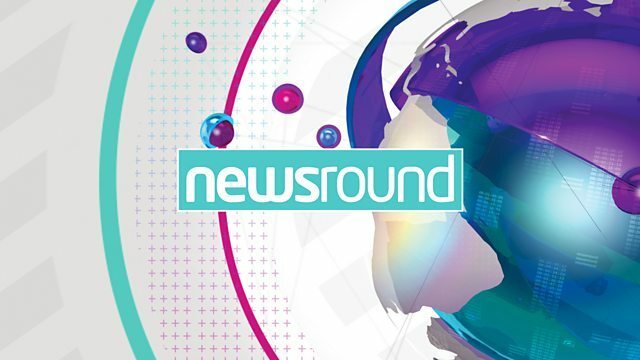 Newsround's back at 7:40am tomorrow.